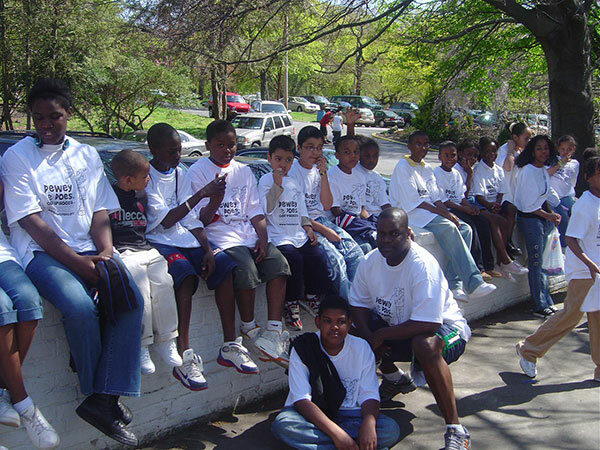 We are a non-profit 501© 3 organization since 2006, inspiring youth to eat healthy, be active, play sports, and have fun. 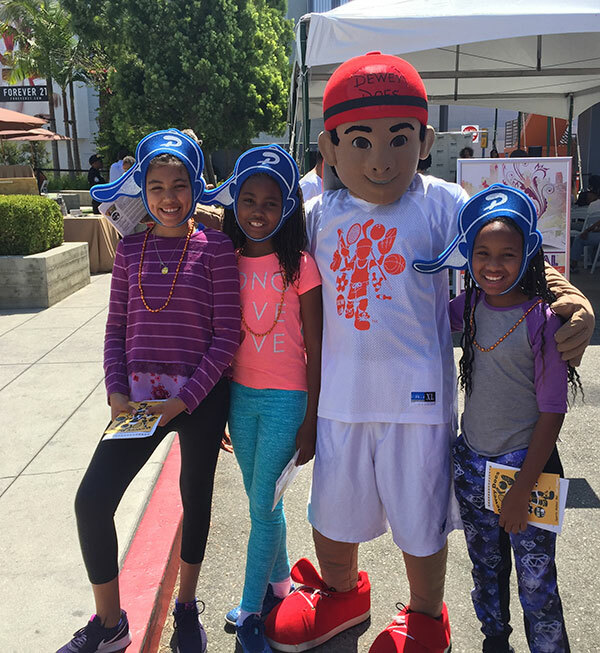 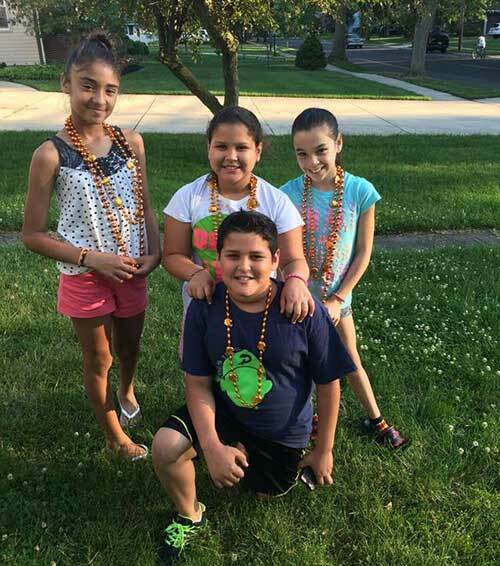 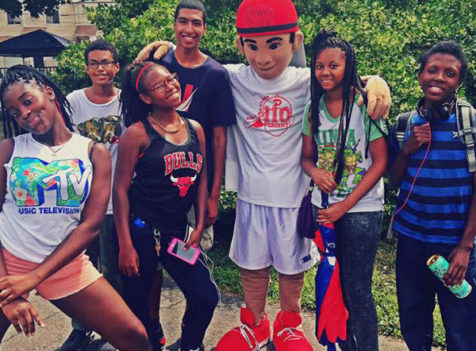 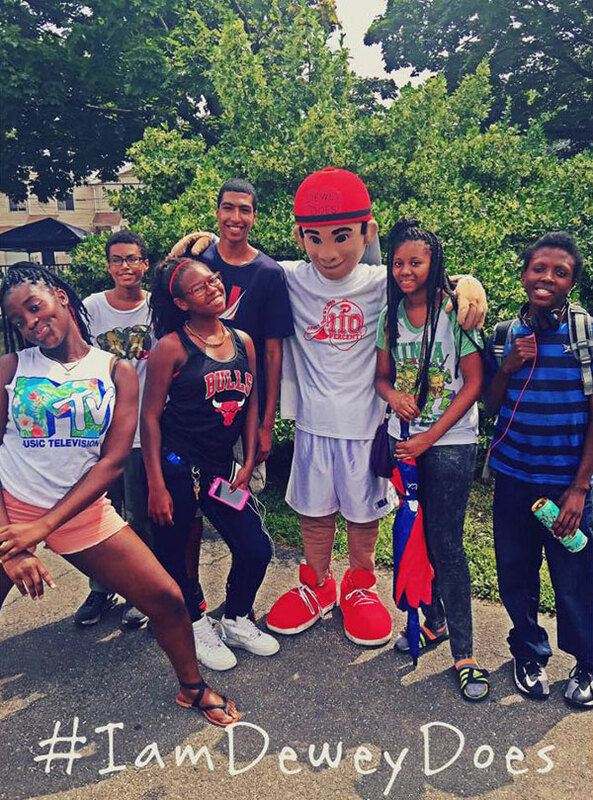 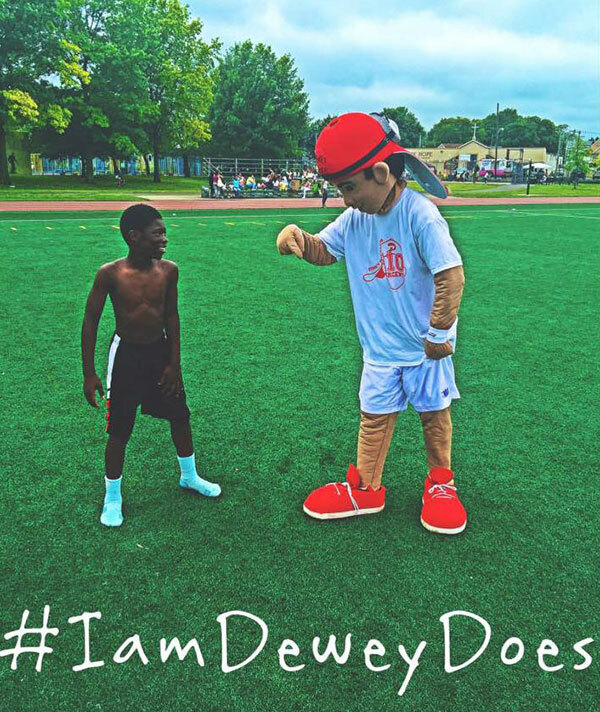 The Dewey Does Foundation is dedicated to providing the tools and inspiration needed to improve youth health and fitness with a focus on reversing the devastating trend of increasing youth obesity nationwide. 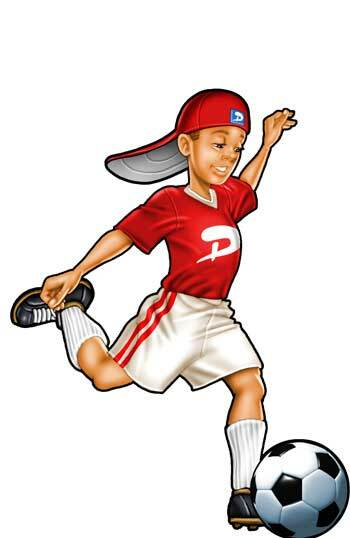 A sports-themed cartoon character who is by no means a sports jock, but rather an ordinary kid with an extraordinary understanding of fair play and working hard. 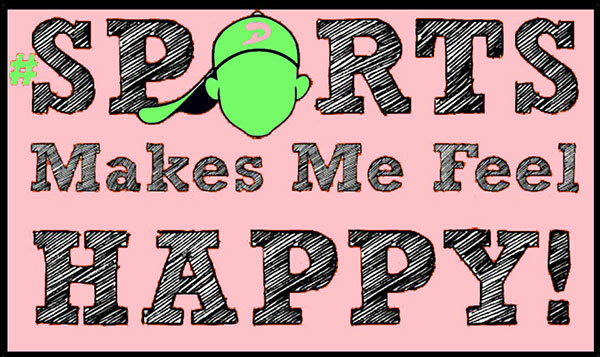 One who takes joy and pride in playing as best as he can, win, lose, or draw. 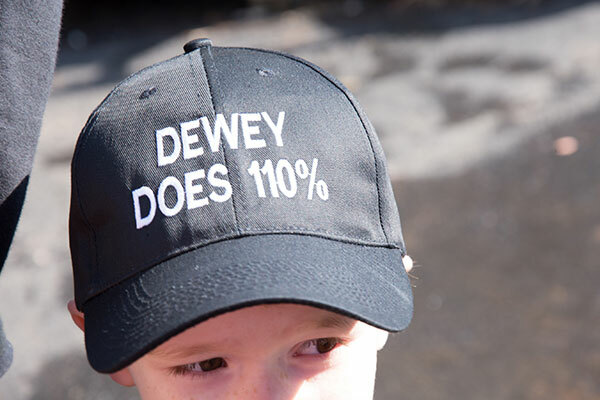 What does Dewey Does do? 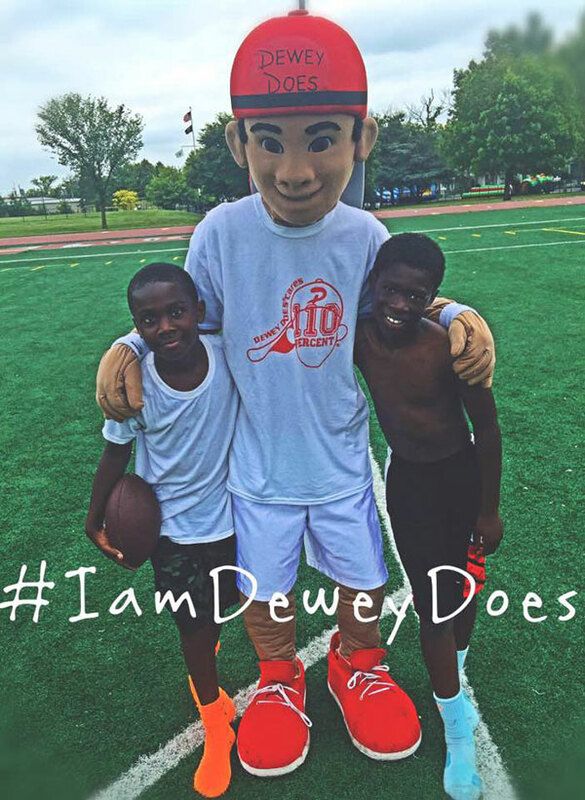 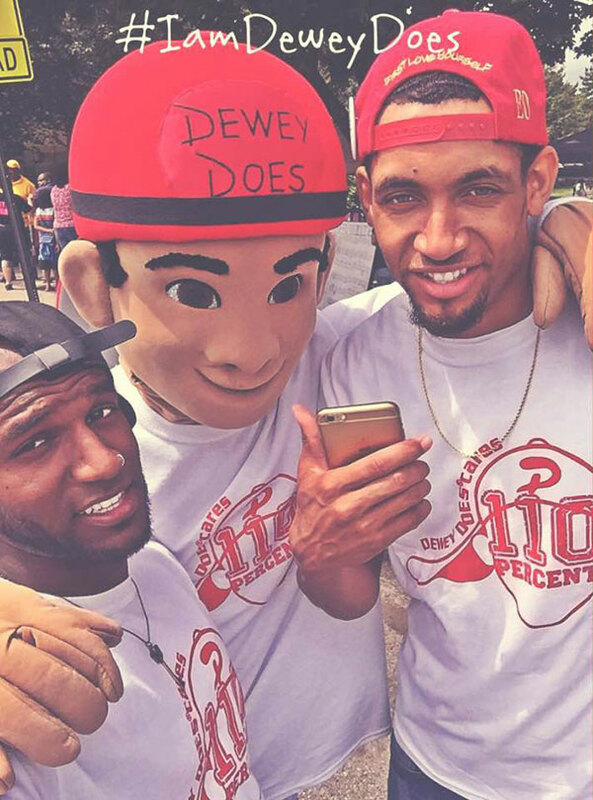 Dewey Does 110 percent at anything he endeavors to do and with his “can do philosophy”, he is the latest phenomenon sweeping across America. 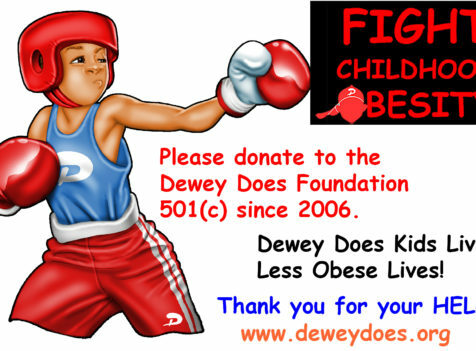 With obesity and poor nutritional habits at an all-time high in this country, a new effort is needed to address this national epidemic. 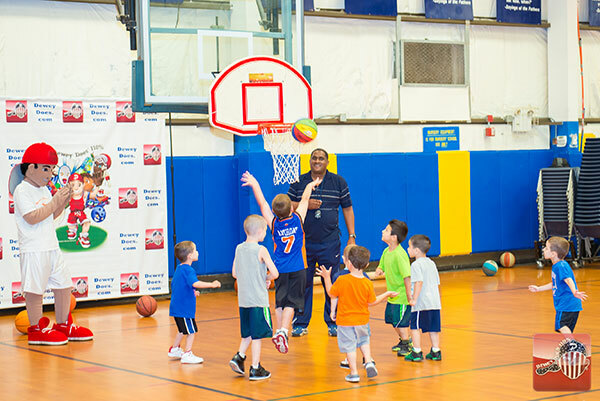 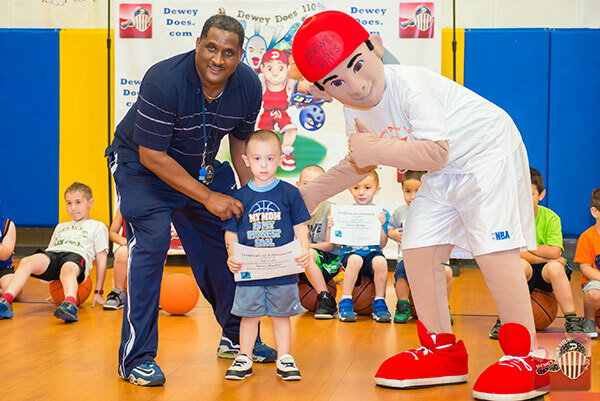 Young children need to learn the importance of healthy eating habits and how an active life through sports will improve their quality of life throughout their entire life. 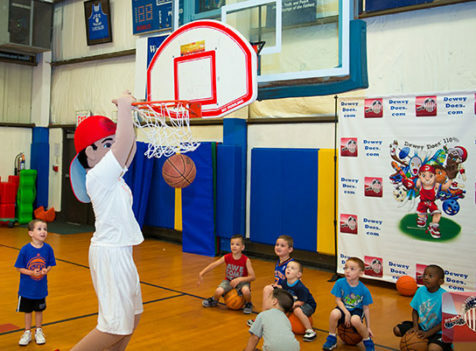 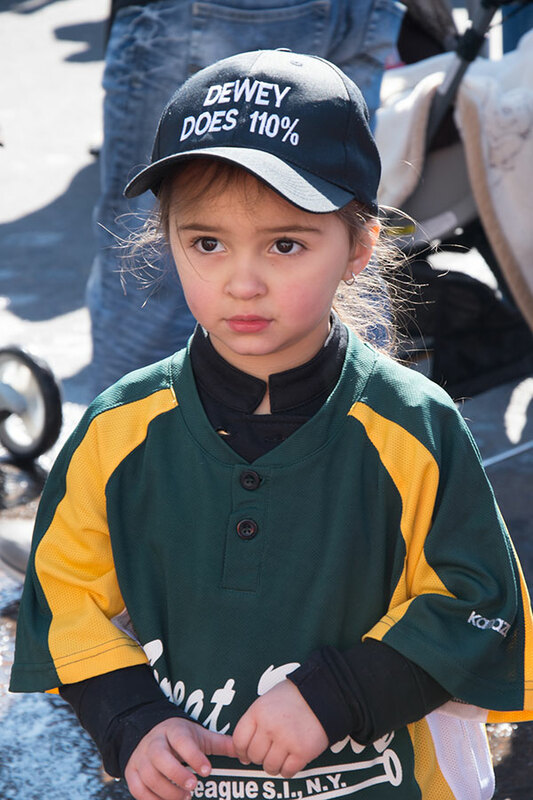 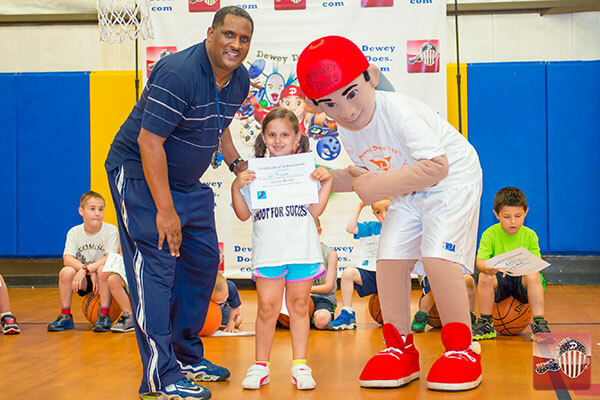 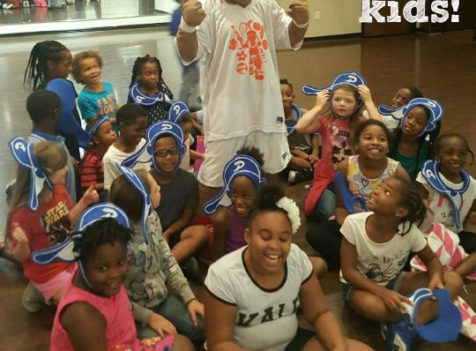 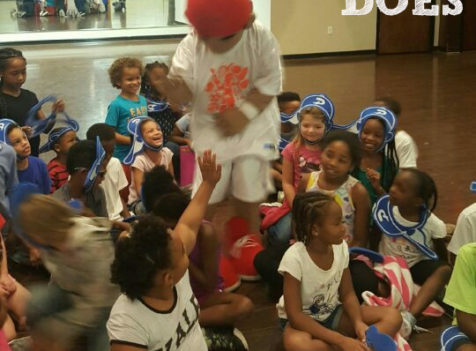 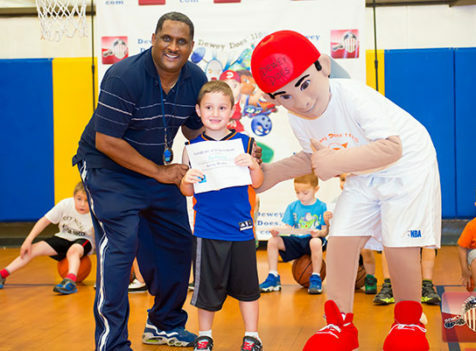 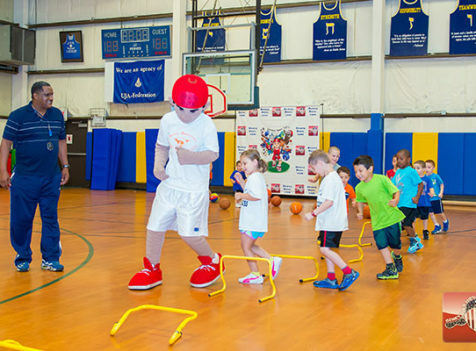 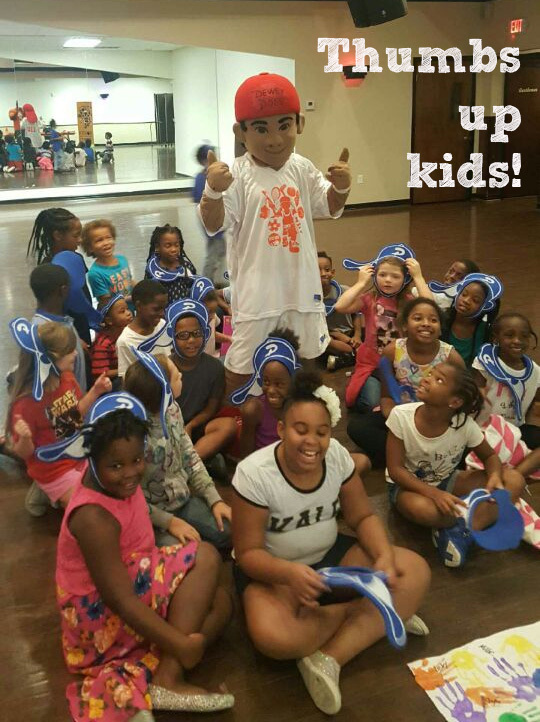 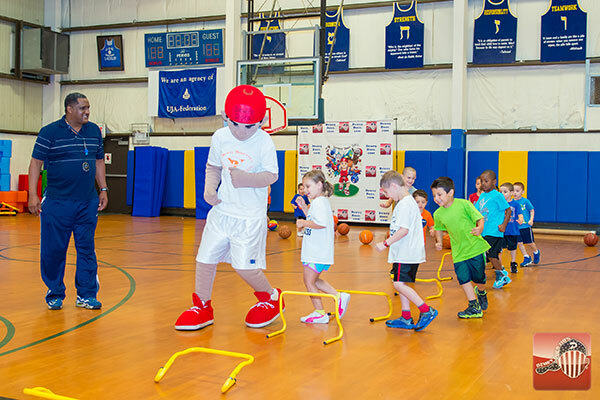 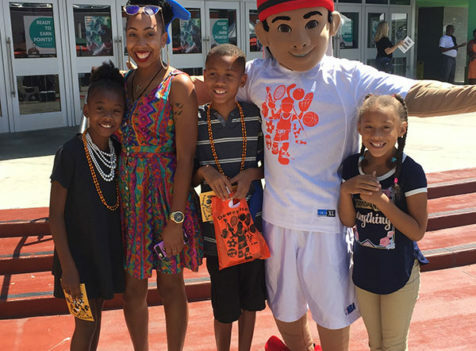 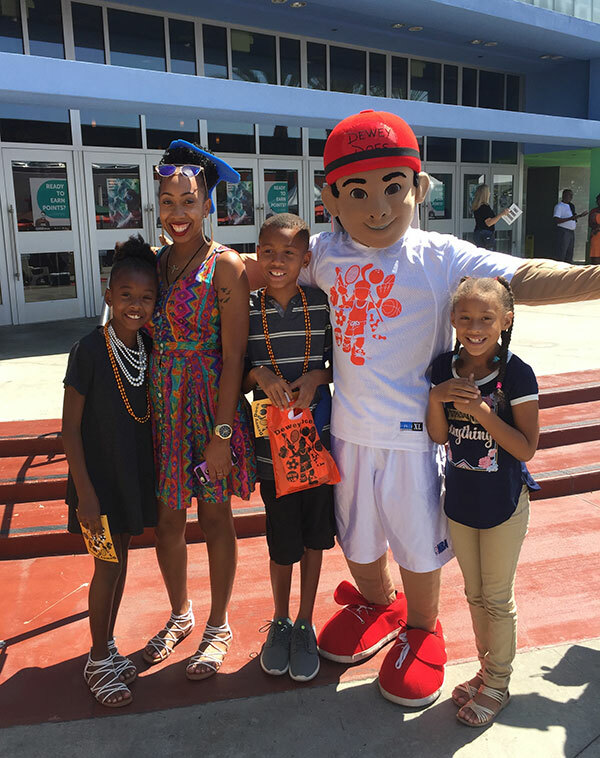 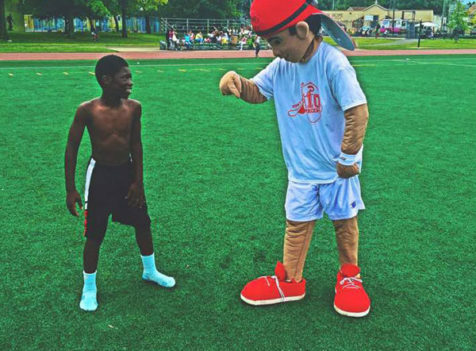 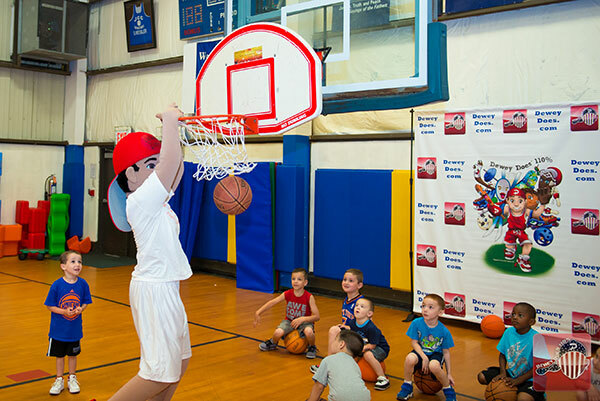 We feel youth will follow a message with greater interest when the message is connected to a recognizable character that inspires and motivates children to exercise and Get Their Sports On!!! 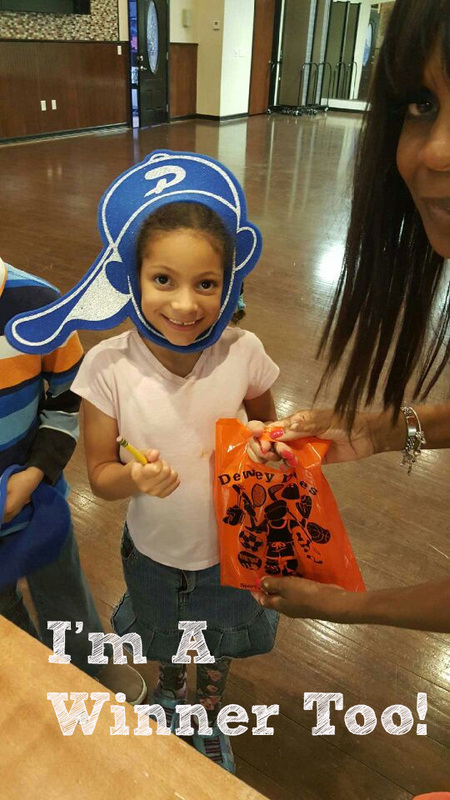 New photos every week from my friends. 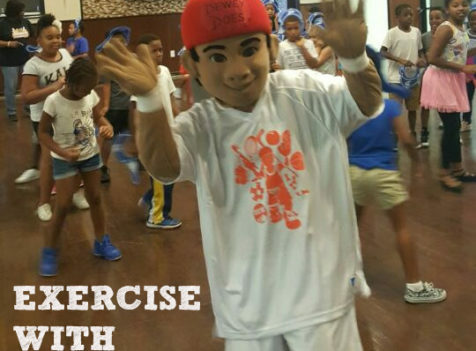 Send me your photos of you doing sports, fitness or any activity to stay healthy and fit. 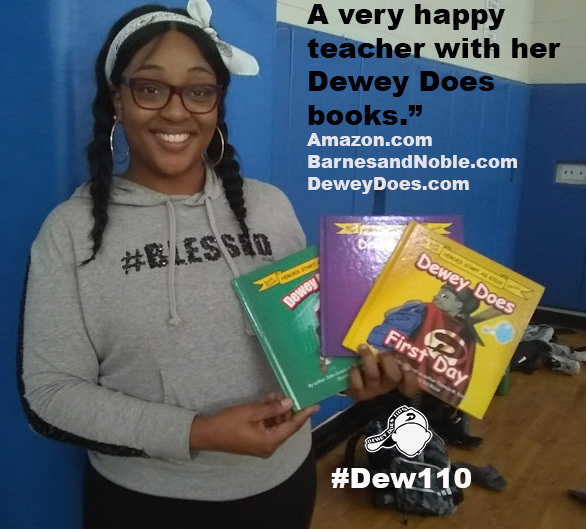 life adventure; is our inspiration for the “Dew 110” message. 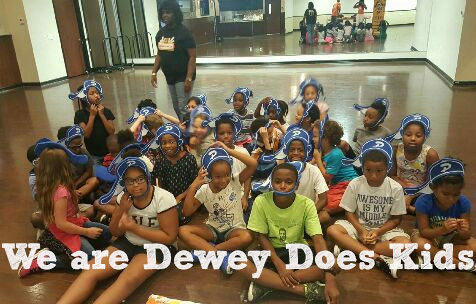 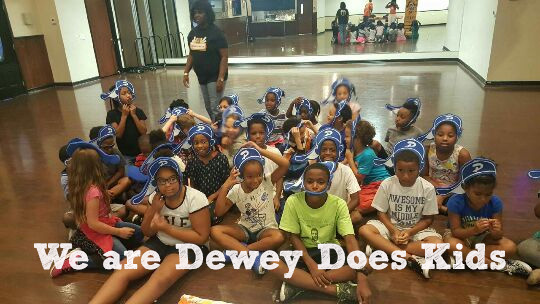 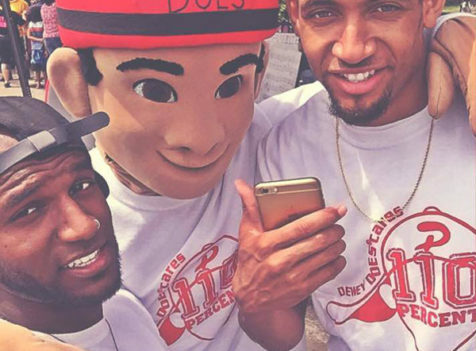 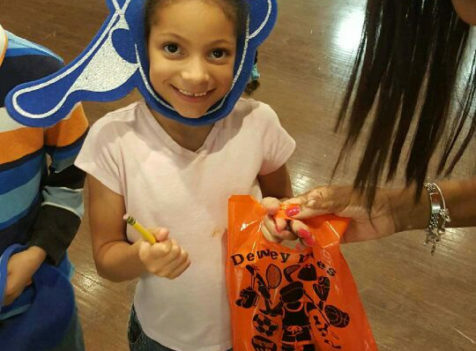 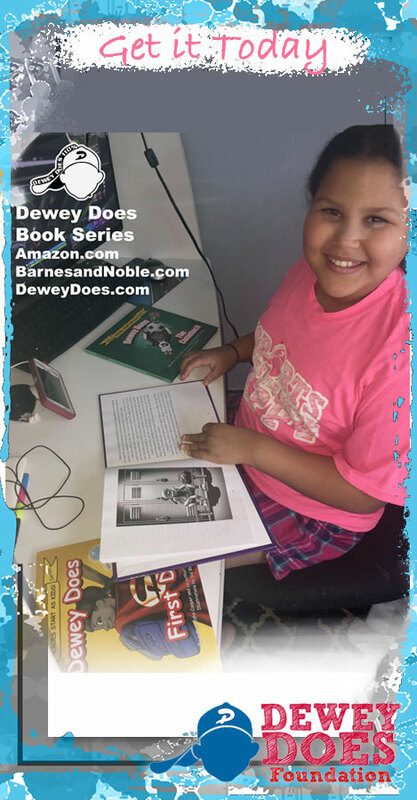 Read About ALL of Dewey Adventures 1 in 4 children in America grow up without learning how to read. 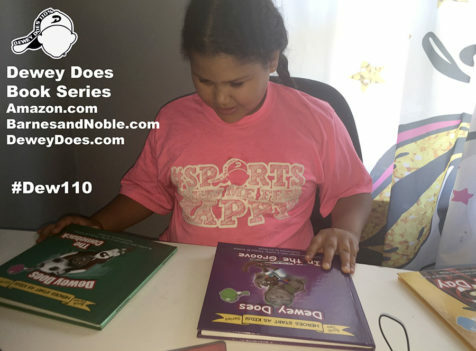 Books that inspire your child to read and lead HEROES START AS KIDS! 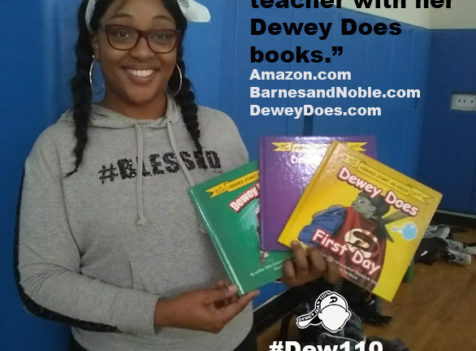 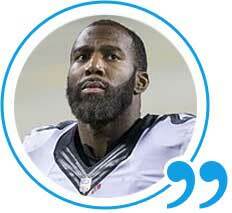 Encourages reading and leadership. 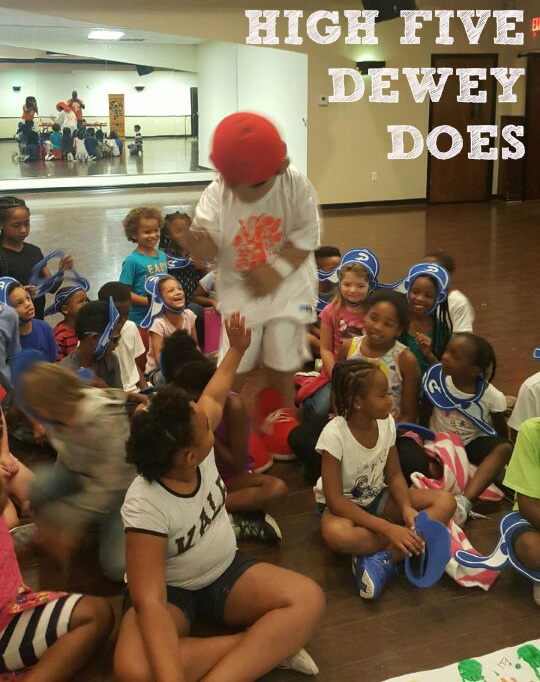 Look for Dewey Does’ newest adventure ‘a MONSTER ate my Sneakers’ coming in 2019. 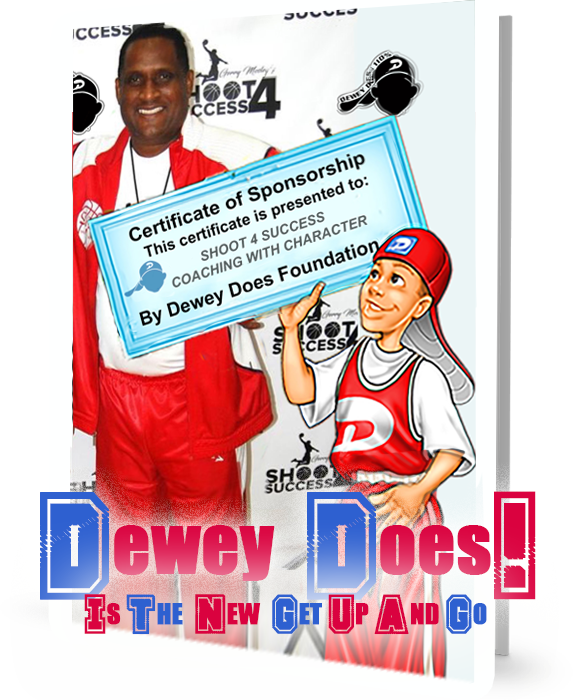 You must sign up at DeweyDoes.com for updates, promotions and promotional gifts. 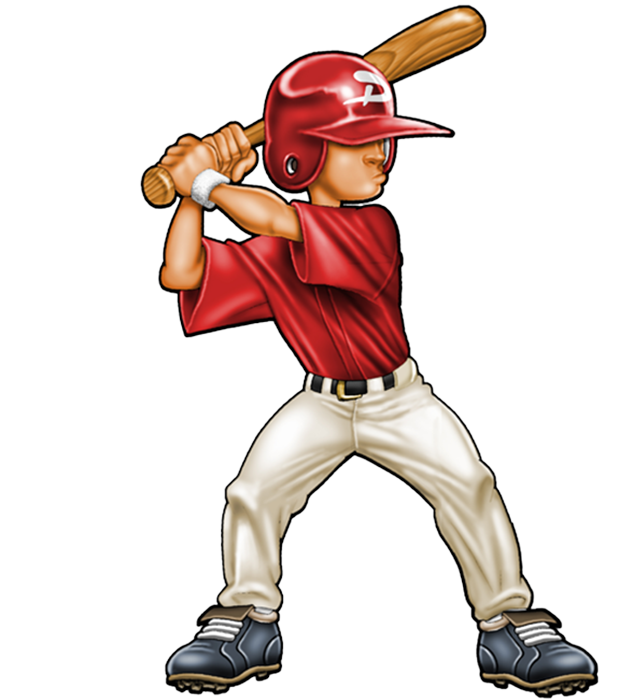 Be the first to see previews and NEW animation shorts. 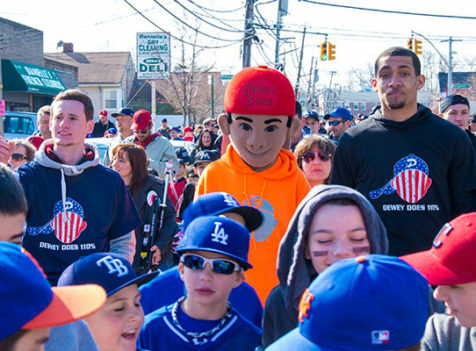 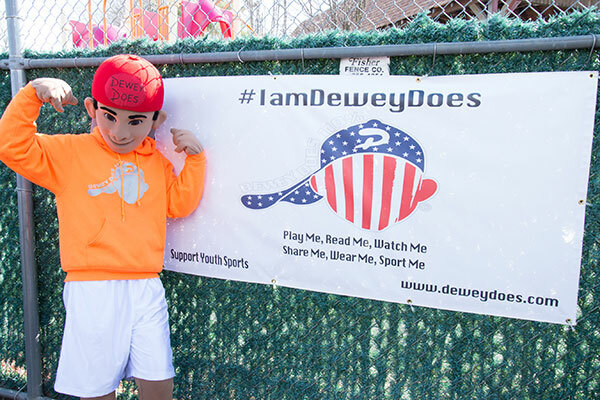 Also, don’t forget to follow ‘Sports Makes Me Feel Happy’ Vlog at deweydoes.com and/or Dewey Does’ Vlog on YouTube. 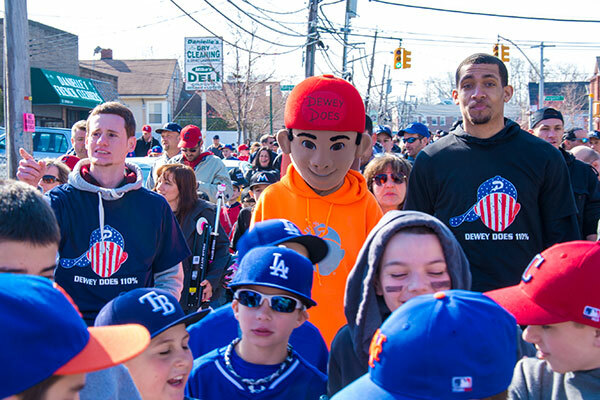 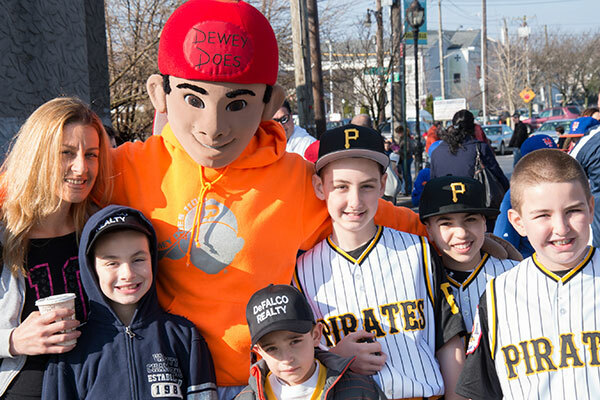 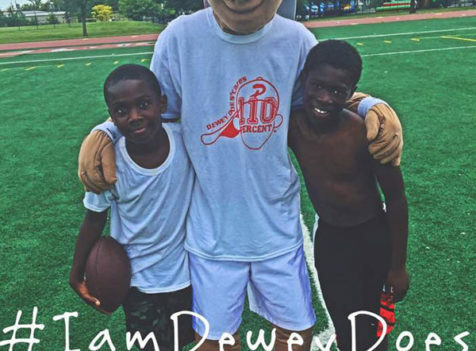 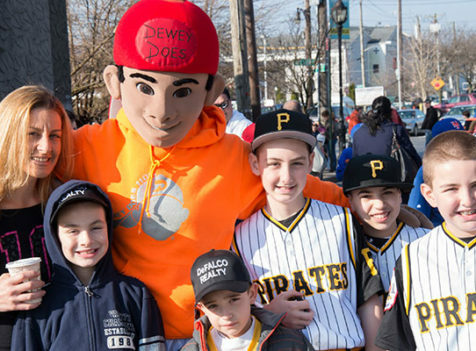 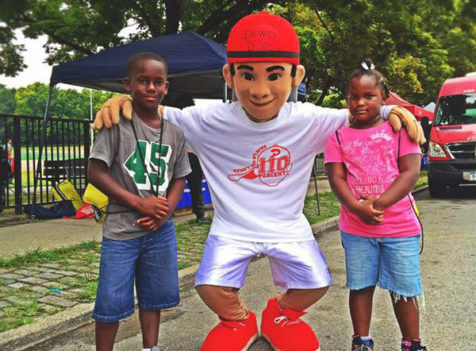 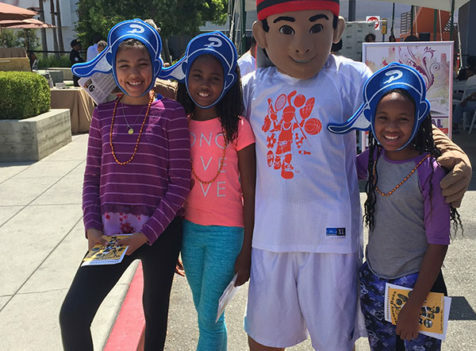 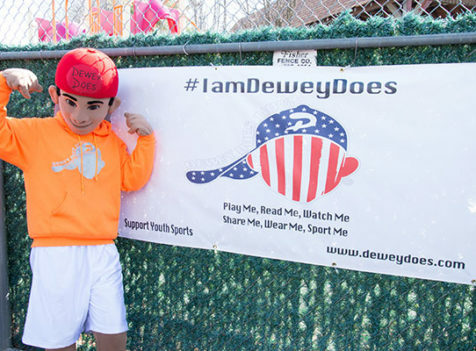 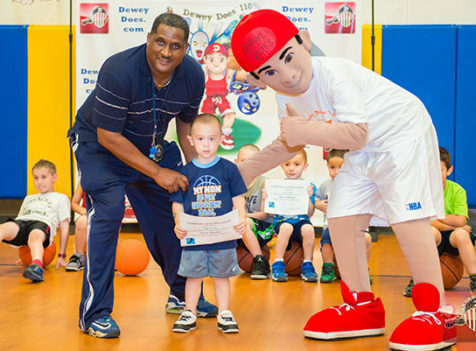 Hit a home run…Buy the Dewey Does Book Bundle today and help the Dewey Does Foundation fight childhood obesity, by promoting youth sports, health and fitness since 2006. Books that encourage a child to read and makes a great Christmas gift for life. 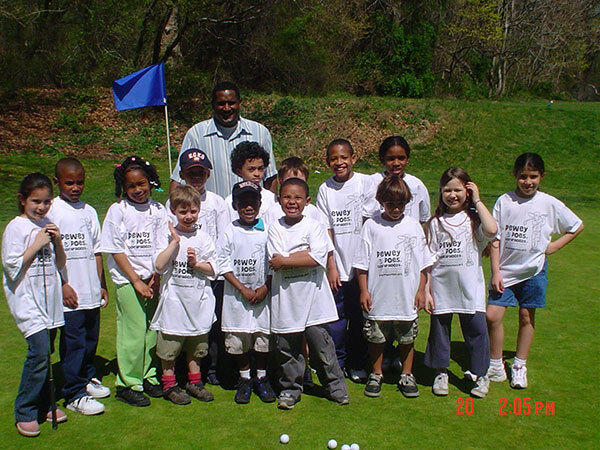 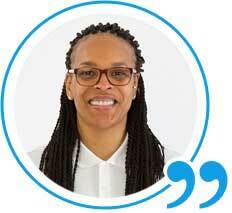 Childhood health affects every community around the nation. 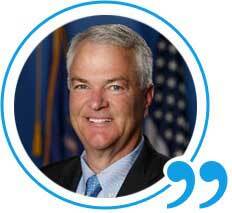 You can be a champion for the youth in your area in a way that makes sense to you and fits your commitment level. 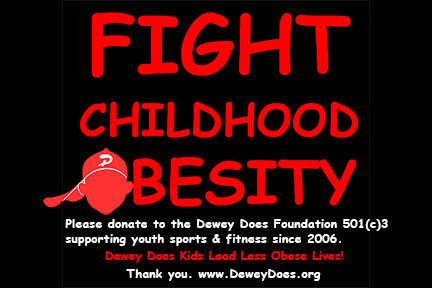 Children ages 3 to 5 can recognize fast food corporate logos before they can actually read…this also can lead to obesity and over weight issues in their future. 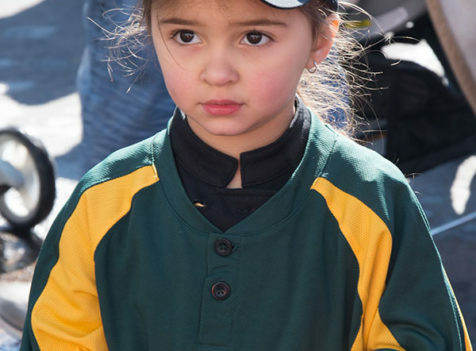 Advertising and certain entertainment begin shaping your child’s mind before they reach the age of 5 years old. 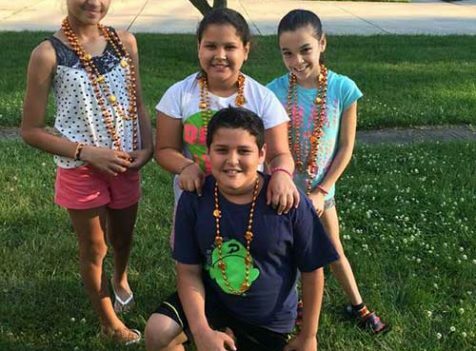 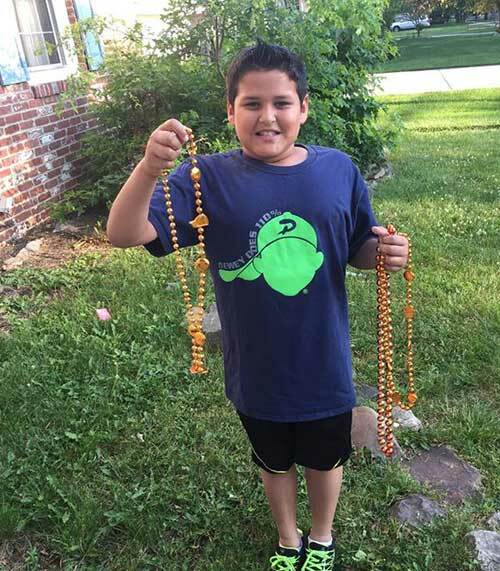 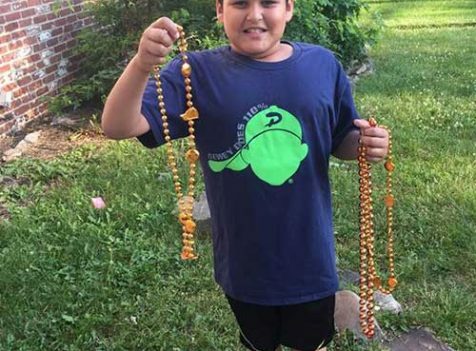 That’s right, obesity is the second leading behavioral contributor to death in the U.S.
And, a lack of nutritious food during childhood can have a lasting physical effects. 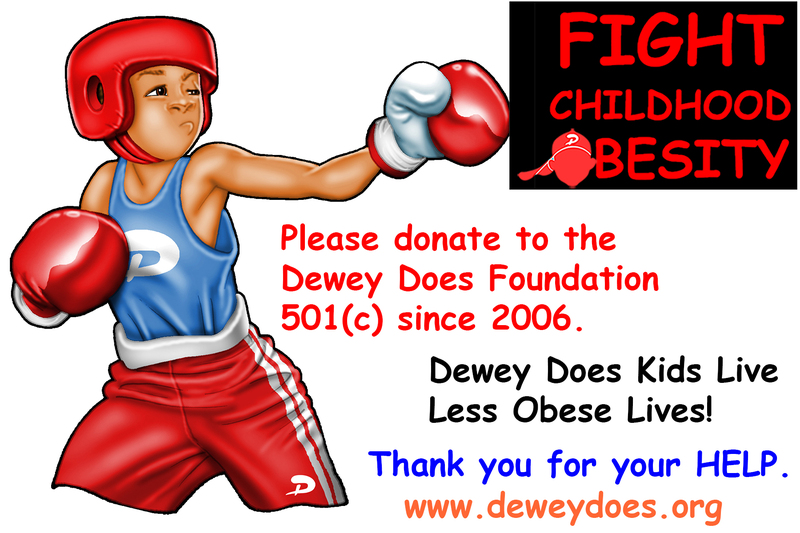 Children with a BMI (Body Mass Index) at or above the 85th percentile and less than the 95th percentile are considered overweight. 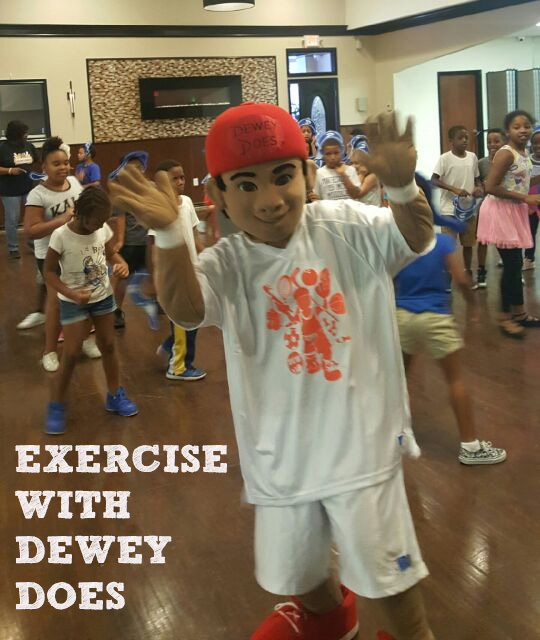 Dewey Does Is the Solution Look for Dewey Does’ new ‘HOW TO’ book on childhood obesity; keeping our children healthy and fit coming soon. 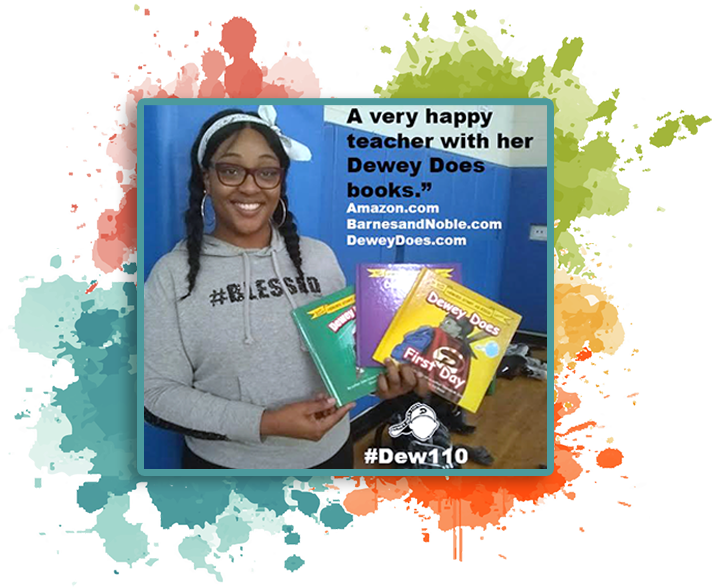 Subscribe to Dewey Does Today Get the latest books, upcoming events and follow Dewey Does Today. 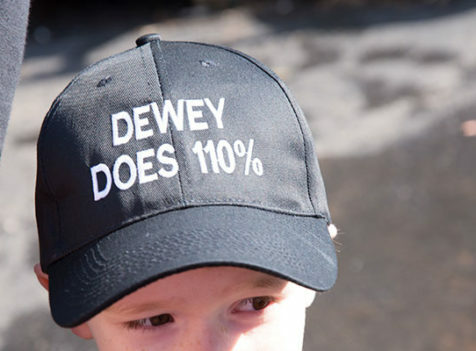 Copyright © 2019 DeweyDoes. 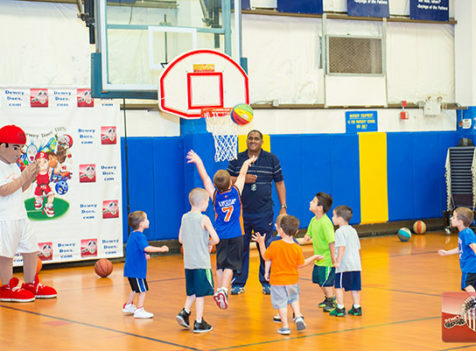 Site Designed by No Regret Media.